Maybe it’s my short attention span, my impossibly high standards, or the fact that I’m constantly testing new products – but I rarely use up a product in its entirety these days. When I do, I consider it a small triumph; if I repurchase it – well, that’s just this side of miraculous. The month of May brought me more empties than I’ve had in a long time, and even a few repurchases. Let’s take a look at what they were! First up is the Missha Super Aqua Cell Renew Snail Skin Treatment! This is the same bottle of essence I’ve been using since I began testing for the review I wrote for it back in April. I won’t rehash all my thoughts about it here, but I will say that this treatment visibly lightened acne scars and reduced my breakout frequency. I probably won’t repurchase this – but not because I had any issues performance. I quite liked this essence, actually. It’s just that I’ve already moved on to testing a new essence, and after that, I’ll move onto a new one. Like the Skin Treatment above, this is the same bottle of emulsion I tested for that April review. It was a nice emulsion – it provided a light layer of moisture, and helped lighten acne marks. I won’t repurchase this either, even though I enjoyed the product. What can I say? I’m a skincare drifter. I’ve already moved on to my next emulsion! This is another product I’ve already reviewed – and loved! I loved it so much, in fact, that this is actually my third empty for this product. I’m already about a quarter of the way through my fourth bottle, and I have two more in reserve. Missha First Essence Treatment has become a staple in my routine, partially because I love how it reduces redness and brightens my complexion, and partially because it’s gentle and easy to integrate with any skincare line I happen to be testing. This is one Missha product I have yet to write up a review for. I’ve actually been working on one, comparing its performance to Estée Lauder Advanced Night Repair. I haven’t finished writing it yet, but here’s a spoiler: I’m on my second bottle. And I have a third on standby. Look for my full review in the coming weeks! 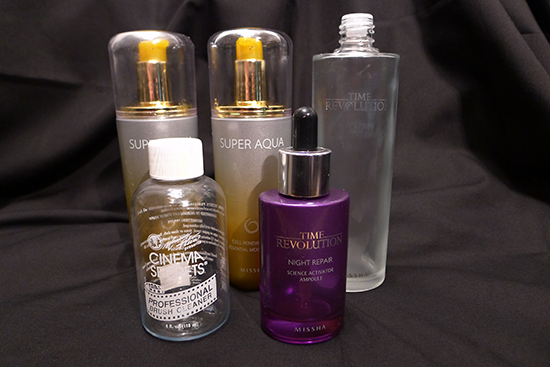 EDIT 07/29/2013: Missha Night Repair Science Activator Ampoule Review is now available. You know, I used to try all kinds of makeup brush cleaning techniques and tips. I’ve used olive oil, dish soap, Dr.Bronner’s, shampoo, rubbing alcohol – all with varying degrees of success. Then I tried this brush cleaner, and instantly knew my days of experimental brush cleaning were over. This stuff removes every trace of makeup from my brushes with very little effort, and has reduced the amount of time it takes to wash my brushes from an hour to about 15 minutes. Not only does it make the cleaning process faster, but they also dry in less than half the time it took previously. My brushes have never been softer, and although this cleaner has a very strong cleaner-like smell in the bottle, when it dries, my makeup brushes are left with a light, vanilla scent. 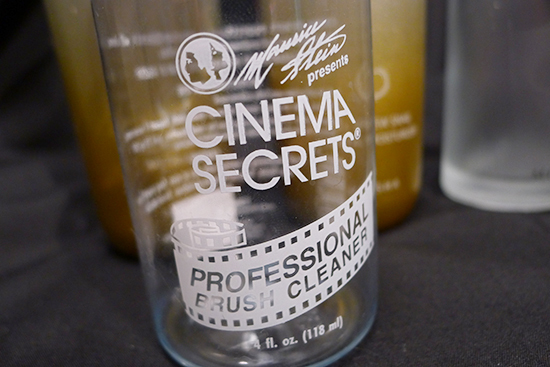 I have already repurchased Cinema Secrets Professional Brush Cleaner, this time in the largest size I could find ($39 for 32oz. on Amazon). I don’t imagine I’ll clean my brushes with anything else again! Did you have any empties last month? I’d love to know what they are! Hey Angela! Yes, I use the Essence every time I wash my face, which is twice a day. What do you think of it so far? Yes, I have! It worked pretty well! And I agree, it does smell nice. The Dr.Bronners and the Olive Oil worked well too, actually. But none of them compared to the Cinema Secrets. That stuff worked like special effects. 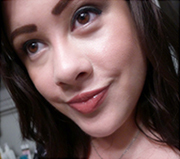 The makeup just sort of disappeared, and the brushes rinsed clean in a fraction of the time it used to take. I didn’t even have to stand in front of the sink long enough for my back to get sore. I’m normally ready for a spine replacement about three brushes in! That Cinema Secrets sounds fantastic. Cleaning brushes keeps me from using brushes. I love having an “empties” post. I’ve got some near empties that will be cached real soon. Hi, I just stumbled across your bog. What a fantastic site! It is not easy to find detail reviews on Asian products, and I’m especially loving your coverage on Missha right now because their recent sales triggered my interest in them. If I’m looking to brighten/whiten my face (mostly post acne marks and not redness) and reduce fine lines, which one would you recommend for the most bang for your buck? 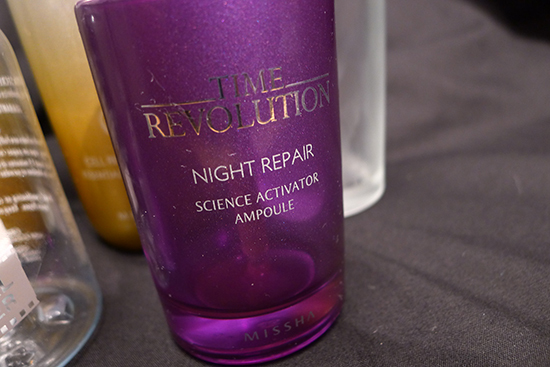 Missha Time Revolution Night Repair Science Activator Ampoule OR Missha First Essence Treatment?